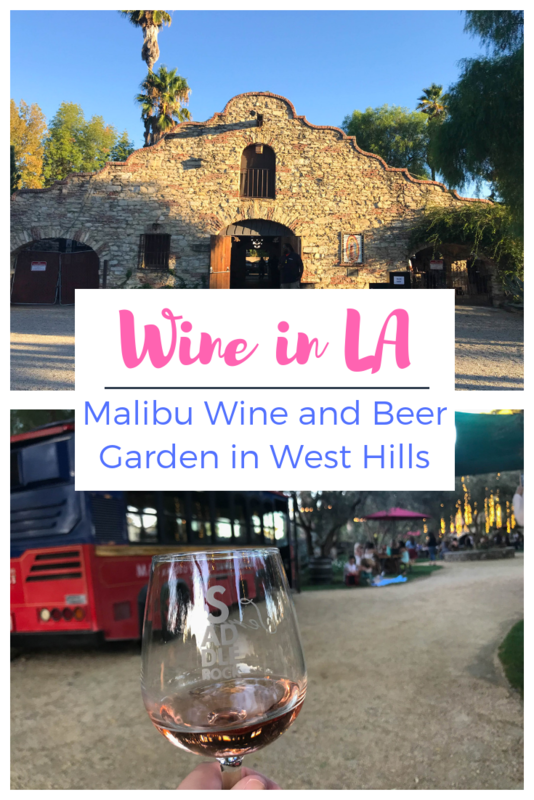 I was ecstatic when I heard Malibu Wines was opening a tasting room in West Hills of the San Fernando Valley! 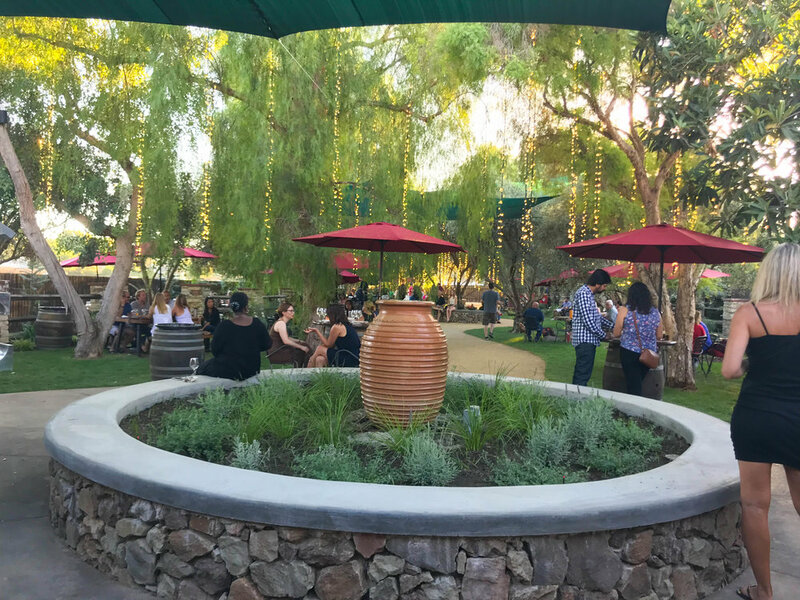 I've been to their tasting room in Malibu and on the Wine Safari so I knew I would automatically like their new wine and beer garden. The venue is a historic 1930's mission-styled mansion initially owned by 1930s-era actor Francis Lederer, and was declared a historic cultural monument in 1978. For years it has been utilized as an event space but is now licensed to serve beer and wine to the public. No reservations required! 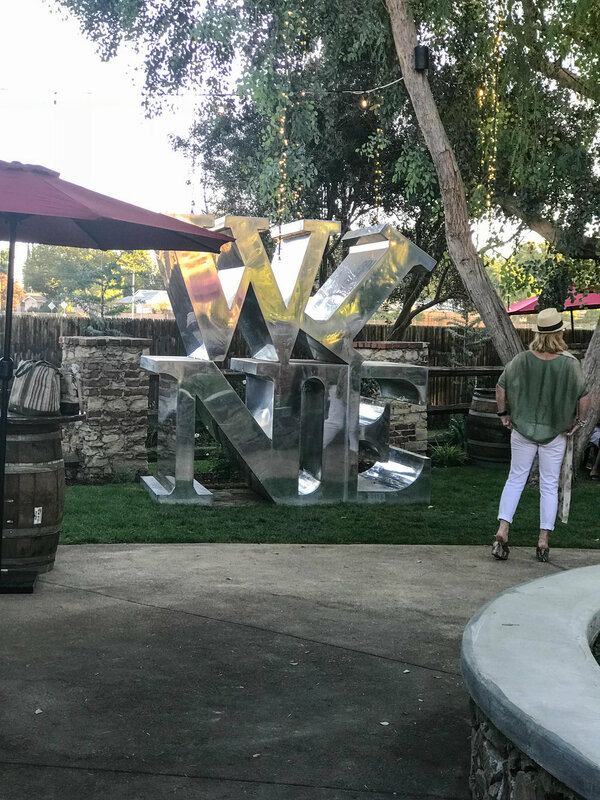 Walking in, I was excited to see their signature WINE sign just like the one in Malibu. The garden is full of tables and chairs with areas also to put down a blanket on the grass. Near the tasting area there are barrels with tops so that you can enjoy flights or a glass of vino. I found it so enchanting with all the lights hanging from the willow trees. A band was setup on stage, playing live music all afternoon. We had trouble finding a table so we posted up around one of the planters. 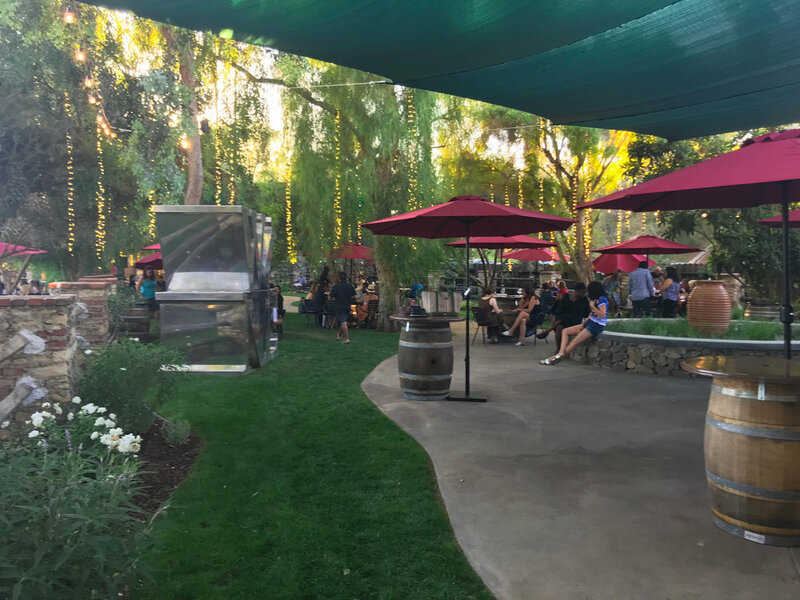 The Semler family own the garden and serve their signature Saddlerock Ranch brand as well as the Selmer branded wine from their vineyard set in the Santa Monica Mountains. Wine and beer are served as flights, by the bottle or by the glass. Ales from local breweries such as 14 Cannons, Modern Times, Cellador Ales, and Five Threads Brewing are served on tap. Two Doughs food truck is located just off the entrance providing pizza and charcuterie plates for guests. They even have salads! Note they only serve Friday nights as well as all day Saturday & Sunday. Cheers! Will definitely be back soon!